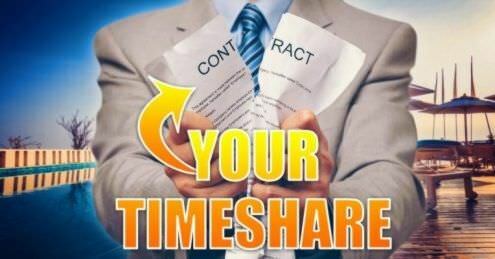 Many of the UK’s timeshare owners are currently tied into contracts with Diamond Resorts– one of the leading timeshare schemes in the USA. Let Us Help You With Your Embarc Whistler, – Diamond Resorts International Timeshare Release Today! Our team here at Mercantile Claims are always on hand to help you with any issues, concerns or questions you have regarding your timeshare contract. Below we have listed feedback and comments received from guests and owners at Embarc Whistler. If you have a more specific question please contact our team of experts and we will respond with an answer as soon as possible. I would give 0 Star if I could. I am so disappointed in this place. We exchanged our place in Cabo which is considered a “studio” but is a Junior Suite that sleeps 4, has a full kitchen, and is about 800 sqft for this 275 sqft “hotel room” with no kitchen and 1 queen bed. Also we had to wash bottles in the bathroom sink as there was no other sink and no kitchen. Staying in this small room with an infant was definitely difficult as we had a playpen, swing, and stroller and no room for any of it. But we managed and kept a positive attitude because it was our honeymoon. But, unfortunately, it just got worse from there…. we had a DVD player that didn’t work and only 2 outlets to use in the room. When we called the front desk that night we spoke to Theo, I believe, and he said nothing could be done about the DVD player and the 1 extension cord had been lent out! Seriously?! 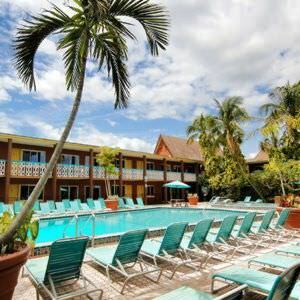 We also paid $21 for the first night for my husband to park his car because they only allotted for 1 car per unit which was understandable, but the 2nd day when we asked about where the overnight lot was we were told about the gal at the desk, Annetta I believe, said there is no overnight lot and begrudgingly gave my husband the 2nd night for free but then complained to the Manager about it. We got a call early the next morning from Charletta, the Manager, asking if we’d “sorted out our parking problem”. I told her yes that we will park at the overnight lot down the street for $5 and that the gal at the desk didn’t know what she was talking about! We were treated like low-class citizens that were trying to get away with something the way she talked to us both her and Annetta at the desk! BUT THE ICING ON THIS HORRIBLE CAKE was when I asked housekeeping on Wednesday when they would be cleaning our room (you get 1 clean midweek which is normal) and she said Thursday. I said GREAT because we will be gone ALL DAY and don’t have to worry about a napping baby! We were gone from 10am until 7pm and came back to a dirty room!!!!! I had thrown all the dirty towels on the bathroom floor to let them know we needed them r placed and they were still there along with our dirty sheets on the bed!!! When I called the front desk they said that there was an email that housekeeping didn’t have enough time to clean all the rooms and would get to ours on Friday. We check out Sunday morning!!! So we get a clean condo for basically 1 day?!?! I have stayed in places all over the world, including 3rd world countries such as India, Mexico, Honduras, etc and have never had a worse experience! I will NEVER stay at Embarc or any Diamond resort again. They obviously don’t care about their members or guests and only care about trying to sell you a bigger place or a place at all when you’re here. But once you’ve purchased here you are forgotten and not cared for. So glad I don’t own here and will NEVER exchange to come here again. I’d rather pay the higher prices and stay at a proper hotel. Last summer when my family was visiting Whistler village we saw a booth advertising a very attractive and discounted deal for 3 nights at this property. You had one year to book your stay and were only required to attend a 1 hour sales pitch during your stay. We recently went to Whistler for our 3 nights at this property. However, instead of staying in the beautiful location we had expected, they put us up in a property in the village that was more of a business hotel than a family vacation resort. It actually wasn’t that nice, smelled of cigarettes, and was very noisy. As you can imagine, we felt quite disappointed and felt a little scammed. It got much worse. There was a miscommunication about the time and location of our 1 hour sales pitch, and we missed the appointment (we were only made aware of this appointment through an email that went to my spam folder). When I realized we had missed the appointment, I called the Whistler Embarc office right away (on our last day in Whistler) and asked if we could reschedule. They said they had no ability to do this and I would have to take it up with their corporate reservations department. We tried calling their corporate office, but I was passed from agent to agent, easily spending more than an hour on hold. In the end, I explained the situation to an agent and said we could come anytime for the required session. However, they would not allow us to attend another session and that now we would be charged full price for our hotel stay! What??? They offered only a lame excuse that they do not like to do these sessions on the last day of a stay. I called again, asking to talk to a manager, but was declined – after again spending an excessive amount of time on hold and passed from agent to agent. Finally, they said they would review our case and get back to us in a day or so. They never called. In the end, I was charged an additional $700 for missing this appointment, despite being ready and willing to attend. Needless to say, my family feels very scammed. I do believe the property is nice, but beware of how this company conducts business and treats their customers. Upon arrival, we met the front desk agent, Cassandra (Australian accent). There was a group of 14 in our party and we booked 3 rooms. She gave us 3 rooms in the same floor. I checked with her 3 times to make sure if the room assigned to me was correct and she insisted it was correct. She said it didn’t matter which room I choose as they are all the same. Then I receive a call at 8pm from Cassandra apologizing that she gave me the wrong room and she would offer me wine for the inconvenience. She gave another guest another set of key cards to enter my room without advising us. Thank goodness we were not in the room. This stupidity is unacceptable, she should have checked to make sure I had the correct room. What if they entered the room at night while we are sleeping. I will never stay in Embarc again, you need to hire experienced front desk people and not hire them just because they are blonde and pretty. Where to start? Stay away. Stay far away from Embarc if you can. If you can’t and have already been suckered in this is a decent property. The pool is great – if you can find it – the signage isn’t awesome. But the waterslide and the pool are great if you have kids. The rooms are good. Large rooms. A bit dated and worn but clean and comfortable. It’s nice having a full kitchen. We like the fact that this is in the Upper Village not the lower but some people might not as it is about a 15 minute walk to where all the action is. They do have shuttles that run every half hour. I think they run from 9-9 or something like that. My biggest complaint is the timeshare people. They are super pushy and don’t listen – after listening for 90 minutes and telling them that we weren’t interested repeatedly – they just kept going and going. We finally stood up and walked out! The customer service for Embarc is horrific – I won’t even go into all the issues that we have had with this company. But we got the Passport sampler package and we have the biggest case of buyer’s remorse on the face of the earth. So do yourself a favour and stay far away.